New innovations from companies like BlueCava and Ringleader Digital could completely change the way that connected devices are targeted and tracked, according to ClickZcom. Advertisers will soon be able to link and track consumers on their mobile phones, tablet devices, desktop PCs, games consoles, TVs and cars, and then serve up ads based on their actions with those devices. This will all be possible through a process called device fingerprinting, an up-and-coming device identification technique that may replace the almighty cookie as the premier online measurement and data collection tool. When a connected device accesses services or content, it transmits individual bits of information about its settings and properties. These signals can be collected and put together to form a unique “fingerprint” for that device, which can then be assigned an identifying number and used in place of a cookie for ad targeting, frequency capping and other tracking activities. While cookies are simply placed on devices and may be deleted or expire, fingerprints track the devices themselves. If the specifics of a device change, its fingerprint is automatically updated to reflect those changes. In fact, BlueCava’s technology is able to identify a device 99.9 percent of the time using approximately 50 pieces of data broadcast from a desktop browser. 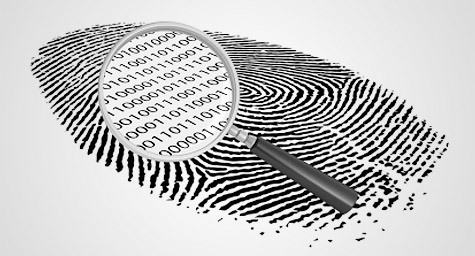 Fingerprinting technology has the greatest potential for mobile and tablet devices since they are more difficult to track using cookies. Ringleader Digital has focused its efforts on the mobile ad market and created the Media Stamp, a product that can be used for purposes such as frequency capping, conversion tracking, and potentially behavioral and data-driven media buying opportunities. It essentially serves as the mobile equivalent of the desktop cookie, and can uniquely and persistently identify the top 100 U.S. devices 100 percent of the time. Since fingerprinting can theoretically last a lifetime, BlueCava is mining opportunities to forge relationships among individual devices. For instance, if an e-commerce bookstore is using BlueCava’s technology it can connect the unique fingerprint of a desktop PC to information about its user’s behavior on the site, such as the books recently viewed. If that user then signs into an account from a tablet device, the user could be served information on books that reflect past behaviors. While this customization is already possible through the use of account data, a permanent relationship could be created between the fingerprints of the two devices. Such multi-device opportunities aren’t limited to mobile devices, tablets and desktops. Any type of connected device has the potential to be tracked and linked through fingerprints, from TV sets to video games to cars. Then, ads could be served based on activities in any of these devices. Data sharing is a primary part of BlueCava’s technology through its Device Reputation Exchange. This allows BlueCava’s partners to share information on each fingerprint’s activities and create a virtual profile based on each device. This data is available to advertisers to help them buy media with greater confidence than cookie-based data. BlueCava has already identified hundreds of millions of devices and expects to identify more than one billion devices by year end, with each of these device fingerprints connected to data in the Device Reputation Exchange. As with most cookie-based technology providers, users have the right to opt out of targeting and tracking. Government scrutiny is expected to be intense over this new technology, so this opt-out feature is being heavily promoted by industry self-regulatory groups. The enduring nature of device fingerprinting means that consumers only have to opt out once, compared to cookie-based opt-outs which can be deleted and cause the user to be opted back in. With its unlimited data collection possibilities and multiple sharing opportunities, device fingerprinting may ultimately be the way the cookie crumbles.